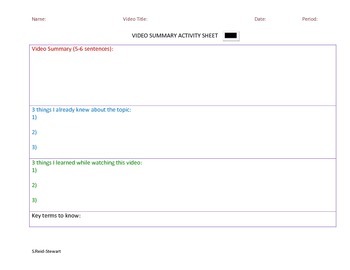 This graphic organizer can be used while students are viewing any video. Students will need to be engaged during the video in order to complete the assignment and receive credit. Assesses prior knowledge and helps to give insight on information learned.